Aerin Lauder announced the launch of her own lifestyle brand five years ago in Town & Country’s September issue, alongside a beautiful photo shoot in Morocco. Since then, she has opened a brick-and-mortar store, expanded AERIN internationally, and collaborated with a number of companies known for their classic, luxurious designs, including Edie Parker, Rebecca de Ravenel, and Williams Sonoma. 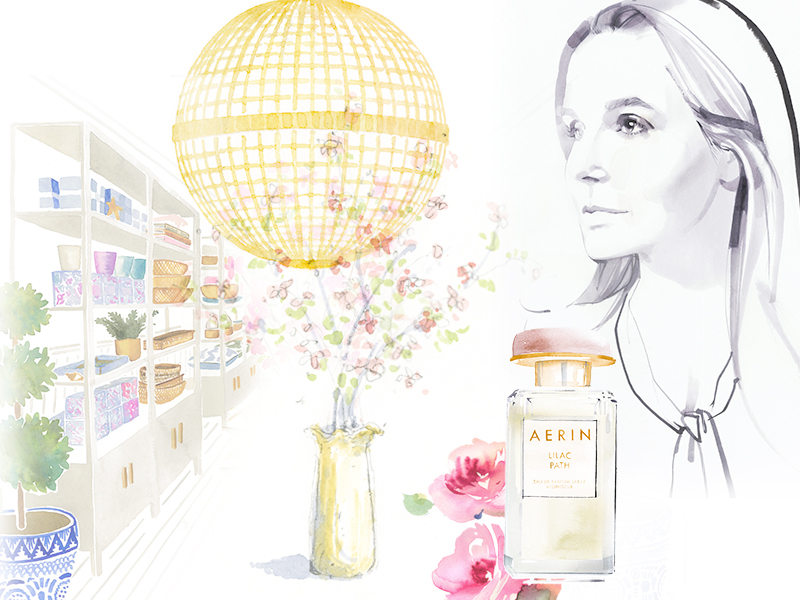 Here, she talks about the ethos behind AERIN and what is next for the brand. What prompted you to launch AERIN five years ago? I always had a dream to create a lifestyle brand. Women of today are busier than ever and love the idea of style made easy—they also embrace the concept of lifestyle brands. I launched with beauty in 2012, which is my heritage, but felt that a woman’s life is beyond beauty—it is her home, her desk, her personal style. A few months later we launched candles and home items, and from there we have created a complete lifestyle brand. At Estée Lauder you were continuing your grandmother’s legacy—how did it feel to step out with your own eponymous brand? I launched AERIN around the same age my grandmother Estée started her brand. I felt ready to launch on my own, and saw an opportunity in the market for a brand based on heritage, storytelling, and luxury with a modern feminine point of view. You started AERIN with a lot of experience in the beauty business—what inspired you to expand into other categories? I have always said beauty is my heritage but my passion is home. As a little girl I would watch Estée apply her makeup before she went out. I visited stores with her and eventually worked in all aspects of the business. I think that women of today want to live beyond beauty and feel that their home and personal style is a reflection of their vision of beauty. What advice would you give an entrepreneur thinking of launching a business? The advice I would give is the advice Estée gave me: “Love what you do and do it with passion.” She always believed that hard work, vision, and passion are the key to success. She also reinforced the importance of knowing your customer and creating the best product possible. What is next for AERIN? The next five years will be exciting for the AERIN brand. We will be in 37 countries for beauty and are launching in China next summer. I am also excited to be opening more AERIN stores in vacation destinations, where I will continue to showcase the brand alongside a curated collection that complements our product.